The McKinney Ladies Association (MLA) will present $10,000 to Meals on Wheels and Senior Services in Collin County on April 14, after a highly successful Spring Fashion Show fundraiser in early March. MLA President Becky Smeltzer thanked everyone who attended the fashion show, donated silent auction items, provided in-kind donations, and served as models and business partners. 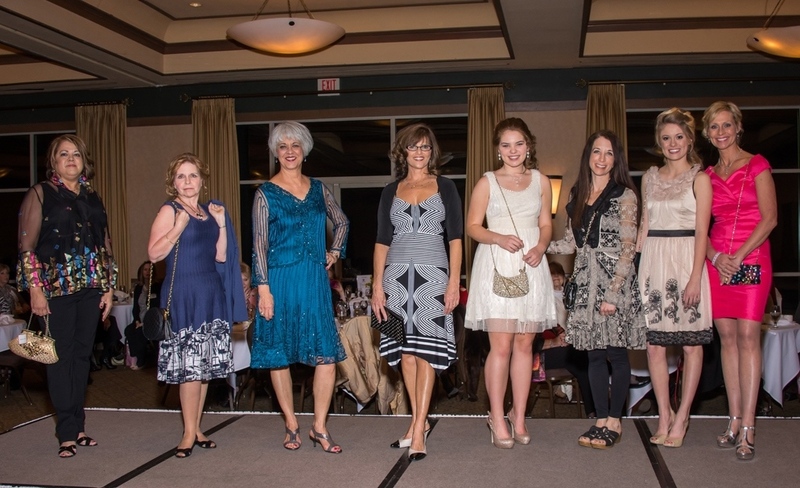 MLA models showed off the latest fashions during MLA’s Spring Fashion Show, which raised $10,000 for Meals on Wheels. Photo courtesy of Joe Ownbey of OwnbeyPhotography.com. MLA holds its popular Spring Fashion Show fundraiser every year to raise money for a different nonprofit in McKinney. This year, MLA selected Meals on Wheels as the beneficiary to support the fact that this nonprofit prepares and delivers more than 700 meals to home-bound elderly residents every day. The funds MLA raised through its fashion show came from ticket sales, silent auction sales, and sponsorships. MLA Board members will present the $10,000 check to Meals on Wheels during MLA’s next meeting, set for 7 p.m. April 14 at Griffin Jewelry, 2811 Craig Drive in McKinney. The public is invited. Smeltzer noted that Griffin Jewelry had donated items for the fashion show’s silent auction, and she thanked the business for playing host to the women’s group’s next meeting and check presentation. The next fundraiser on MLA’s calendar is the community-wide Spring Yard Sale from 7 a.m. to noon Saturday, April 26 in the parking lot of Stonebridge United Methodist Church. All proceeds will go to college scholarships for the children of McKinney’s first responders. For details and to register as a vendor, please visit www.McKinneyLadies.org. The McKinney Ladies Association (MLA) is dedicated to supporting the children and families of our community through special events and fundraising efforts organized by MLA. Connect with MLA by visiting the group’s website, www.mckinneyladies.org, where you can sign up for the monthly MLA e-newsletter. Look for MLA on Facebook at “McKinney LadiesAssociation” and on Twitter at @McKinneyLadies.